Summer can be exhausting with all the heat it brings. 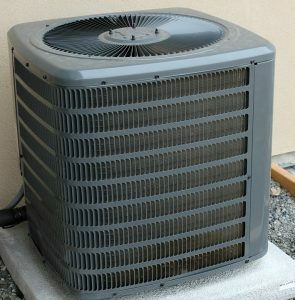 Your home can be difficult to keep cool even with the use of your air conditioning. If you are looking for ways on how to keep your house cool this summer, here are a few tips to help get you through the heat. Utilizing ceiling fans and box fans are a great way to stay cool in the summer. Fans can provide extra cooling air when it gets very hot outside so that you don’t have to use your HVAC system to its fullest capacity. Turn your ceiling fan on high when you go to sleep or place a box fan near your bed to stay cool at night. Sheets and pillows sets now come equipped with new technology that has built in cooling features. If you can purchase a sheet set or a pillow that helps keep you cool, this can be a great way to stay cool during hot summer nights. Believe it or not, windows can play a major role in keeping your cool. Check the spaces around your windows to make sure there are no leaks, and correct them with caulking if so. You can also purchase black out curtains and keep them closed during the day to block out the sunlight that can make your house warmer. Be sure that all window treatments and blinds are closed during the day to keep out the hot sun and keep your home cooler throughout the day. Installing LED bulbs in place of your current light bulbs can also reduce the amount of heat in your home. LED bulbs use less energy to light your home and are therefore cooler than typical light bulbs and can reduce the temperature they emit. Get creative and cook outside! While it might be hot when cooking outside, you can keep the heat on the oven or stove from making your house even warmer than it already is.